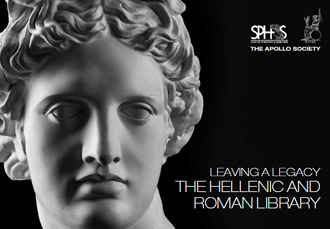 The Hellenic and Roman Societies, in collaboration with the University of London’s Institute of Classical Studies (ICS), own and operate one of the world’s great libraries for the study of Greco-Roman Antiquity. 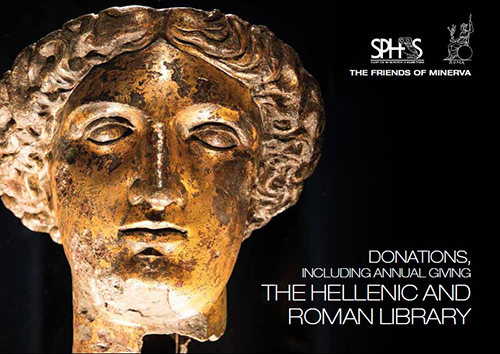 This extraordinary collection of materials has been built up over more than a century starting with the foundation of the Hellenic Society (1879) and the Roman Society (1910) who formed the ‘Joint Library’. In 1953, the Societies collaborated with the newly-established ICS to create the ‘Combined Library’. Today, located in London’s Bloomsbury, this collection of over 150,000 volumes makes the Combined Library a central focus for much of the magnificent, cutting edge research into the cultures of Greece and Rome generated in the UK and beyond, attracting a wide range of readers. HARL has recently launched a fundraising campaign in order to meet rising costs, and to maintain and enhance the Library as part of a world class research facility for future generations. Your support can help us to secure the future of the Joint Library and advance Classical scholarship, preserving the study of the past into the 21st century. Read more testimonials from global visitors, and hear what Mary Beard, Paul Cartledge, Natalie Haynes and Tom Holland say about the truly exceptional quality of our library. Access the Library website and the Catalogue.